​Last Sunday had another adventure in store, this time the group split into two, half to Shanghai and half to the Nanshan Bamboo forest on a coach a couple of hours south of Changzhou. 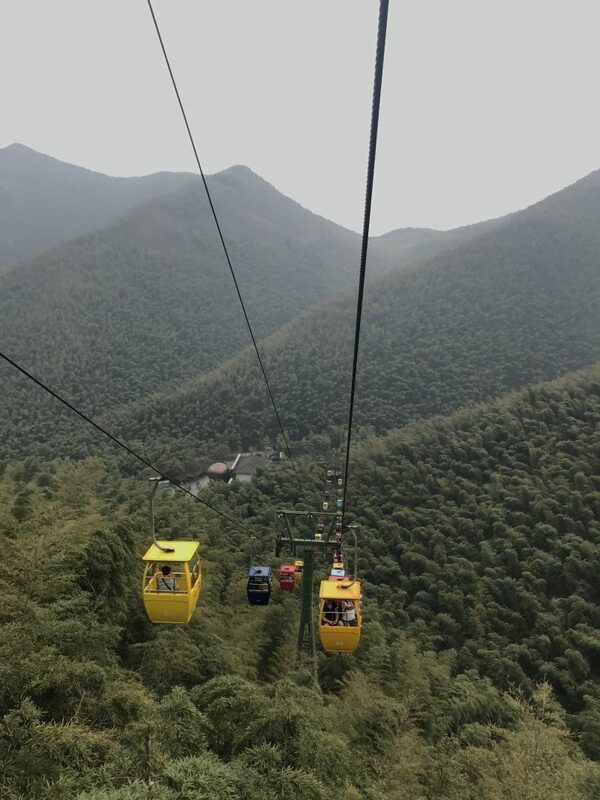 The forest was huge with a number of attractions, including birds, the Buddha of immortality, some cable cars, great views AND of course Bamboo. The highlight of the day was this amazing hot springs complex just next door. 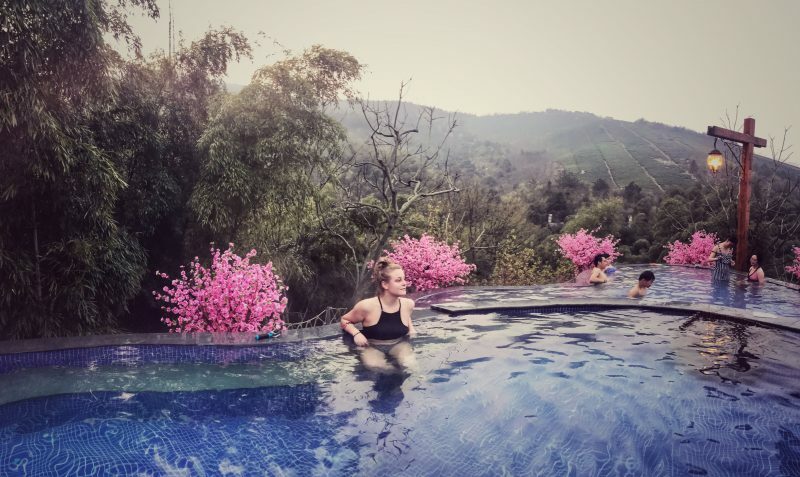 There was amazing flavoured baths at about 40 degrees with rose, lavender and even beer – each claiming to have some relaxing and positive qualities. At the back of the area there was an upper level with views out over the mountains – a realllllllyy dreamy and relaxing way to spend a Sunday evening ✌🏼! Monday hit and we were all in final presentation mode; prepping slides, documents and spreadsheets to deliver to our clients eeeek!! 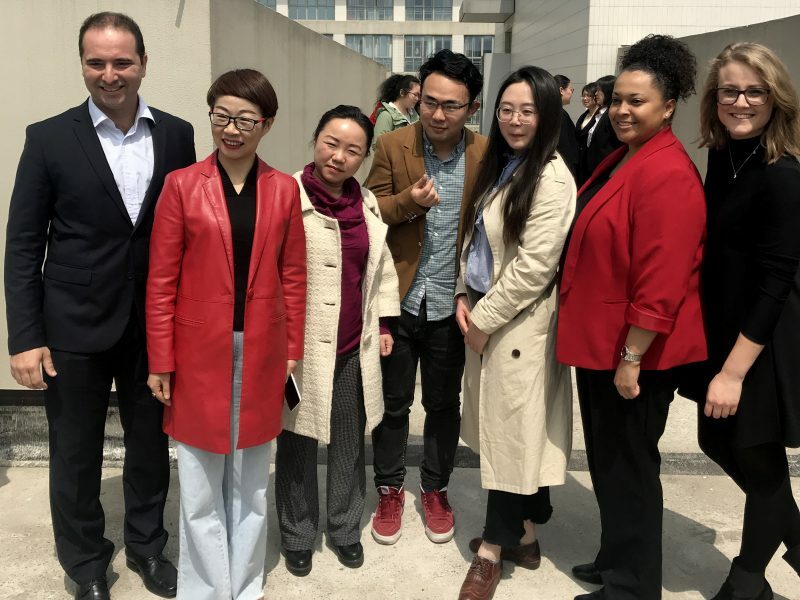 Our team had a solid three days work before Thursday‘s presentation; we headed to the business centre early doors and spent the morning sharing our work with our client Ms. Jiang. We’d prepared three documents – firstly a report on their service model for the organisation with recommendations on how to improve it, secondly a project management spreadsheet to help them track their projects more efficiently and finally a Standard operating procedures document which would enable them to standardise processes across the service stations in Changzhou and beyond! Thursday afternoon was spent preparing for the closing ceremony and during the evening we had an end of project dinner with the government and a boat ride down the river which was fun! A bit of boogeying to some live music and it was bed time – we all needed to be on good form for the closing ceremony! Jimmy and I had volunteered our presentation services to host the closing ceremony, with Tina & Elaine the project assistants lined up for translation. It’s hard presenting with a translator as firstly you can’t make up what you’re saying on the spot, it’s much better for the translator to have a guide of what you’ll say before. Secondly, your own personal presentation style, (enthusiasm, humour, passion), doesn’t properly translate through. Despite these challenges, we all did our best to explain the story of ibm working globally and what we had been doing throughout March. I have some insights into the team habits and then we introduced each sub team to share their client story and the impact their work will have! Later on, each of the PAs received a certificate and to wrap up we all took a LOT of photos!! Can’t believe it’s actually finished – the month has been tough, exciting, fun, tiring and many more things but it’s sure gone fast! 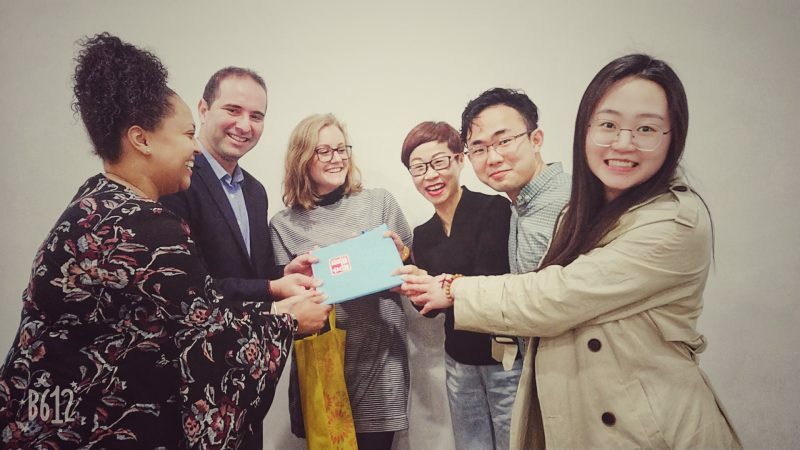 Patis, Bruno & Kristyna worked with Changzhou Volunteer federation on two items. 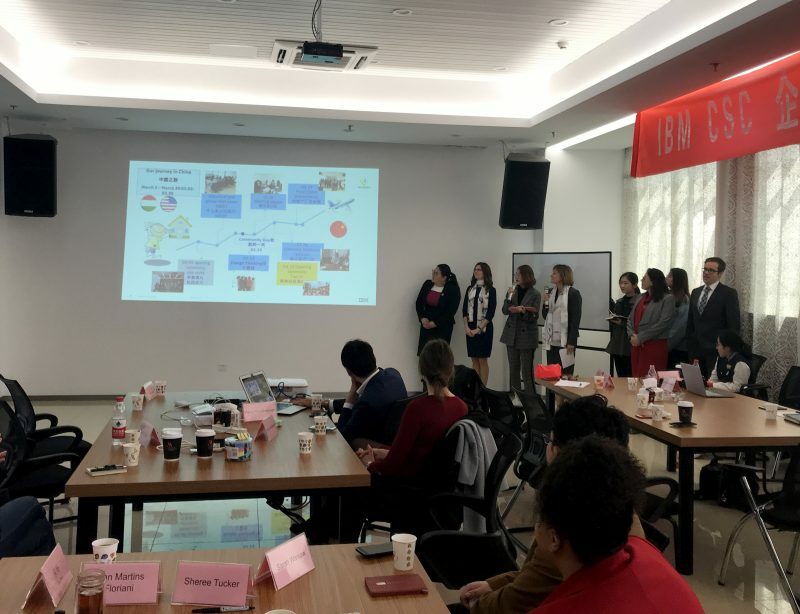 Firstly data management recommendations for a charity run, secondly recommendations on how people can get more engaged with an app used to track clothes donations across China. Tom & Edna worked with Tian Ai, a school for autistic children on a marketing strategy and a project management framework. Melinda and Jocelyn, also at Tian Ai, reviewed the organisation structure and HR processes. Jimmy, Laura & Dens worked with DCX a meals on wheels company for the elderly on three objectives; organisation restructure & job roles, risk management and an expansion roadmap. And finally, team 5, myself, Sheree & Jean built documents that will help Tian Fu optimise and grow their services for elderly and those who have lost their only child. From the impact survey we all conducted with our clients, between the four organisations there’s an estimated indirect and direct impact for over 58,000 people thanks to our work. It’s incredible to know that what we have done in such a short space of time has the possibility of helping so many. Even if the organisations don’t implement everything we did with them, we’ve brought about new ways of thinking, asked questions and given the teams ideas about how to make the organisations more efficient. After the workshop we ran last Friday at Tian Fu about volunteer processes, the management team have edited the application form and updated the process based on what was said that afternoon. We were buzzing to hear that less than a week later they’d made positive changes thanks to our work! It’s been an amazing month; learning about others’ lives, learning about China, trying to speak Chinese, eating all sorts of food, making the most of the gym at the hotel, eating about 1,000 dumplings, laughing, working, laughing more, debating how to say English words with the Americans (rolls eyes), wechatting, taking photos, lazy Susans, never ending plates of food, hanging out with the local government, getting lost, presenting, using the bus, taking DiDi taxis, enjoying the spring blossom, google translating with people to communicate, having selfies with locals, still trying to learn Chinese words, drinking Tsing Tao beer, testing Chinese wine, meeting locals, making friends with local, blogging, filming, dancing, making dumplings, eating more dumplings, checking ourselves out in, and on the news, taking high speed trains, nearly missing the last train, post it notes, a birthday party, international women’s day, hanging out with the project assistants and finally meeting an awesome group of IBMers 💓. Tom always has a cocacola in his hand. Kristyna is grumpy in the mornings. Jocelyn always trying to find a Starbucks so she can add to her mug collection. Edna, the project manager is always asking whyyyyyy? And finally, one for me – having to stop every 10 meters for selfies with strangers haha, it’s the blonde hair 🙄. Goodbye Changzhou, you’ve been awesome – thanks to everyone involved for making the most amazing experience! Now, on to exploring the rest of China with my travel buddy Rach✌🏼🇨🇳🎒!! !